Hector Berlioz’s Les Troyens. A tale of one nation invading another on dubious grounds and the follies and tragedies of war that ensue. There is a grim kind of irony in St Petersburg’s Mariinsky Theatre bringing this of all operas to Edinburgh in this of all years. 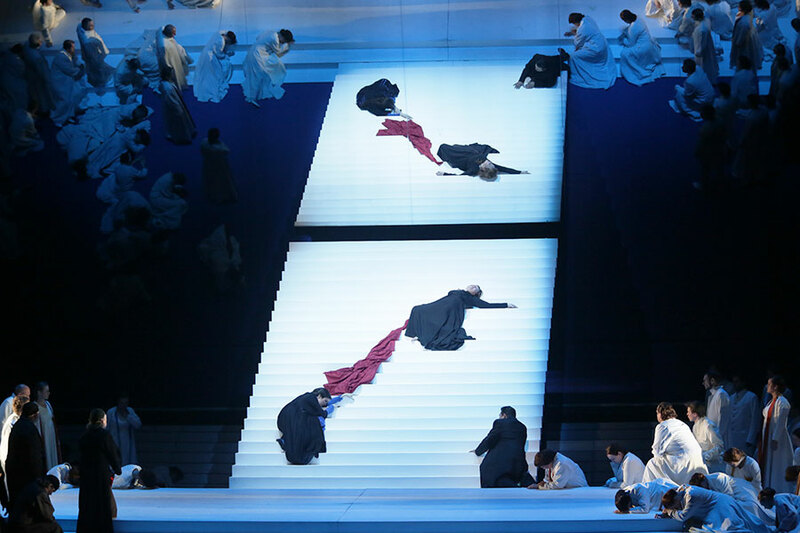 The huge production is financially supported by an ill-timed UK-Russia Year of Culture 2014. The Mariinsky’s artistic director is Valery Gergiev, long-time prominent supporter of the Russian president Vladimir Putin. In 2011, Jonathan Mills, director of the Edinburgh International Festival, appointed Gergiev the festival’s honorary president â€“ a mainly symbolic position at the head of a festival that was set up as â€œa platform for the flowering of the human spiritâ€ in the aftermath of the Second World War. Whether Gergiev should remain in this position is a question that surely needs to be addressed by Mills before his final year as EIF director is out. This entry was posted in Features on July 23, 2014 by Kate Molleson. Could there be a more magical setting for a music festival? The little Hebridean island of Eigg is a gem: tucked between Skye and Ardnamurchan, flanked by craggy Rhum and tiny Muck, topped by its iconic knobbly An Sgurr. The ferry trip involves whale and dolphin spotting; the campsite is a white sandy beach, perfect for morning swims among the seals. In recent decades Eigg has become famous for its progressive collective land ownership (it was bought by its residents in 1997) and that community spirit was everywhere about this festival, from locals giving punters lifts on the back of pick-ups to headline acts taking voluntary shifts on the bar. It’s a clichÃ© but hey: the star of the show was the island itself. This entry was posted in Live Reviews on July 22, 2014 by Kate Molleson. 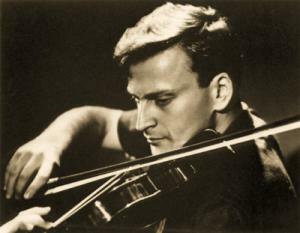 During the Second World War, the great violinist and educator Yehudi Menuhin played concerts for Allied troops and travelled to Belsen concentration camp shortly after it was liberated to perform for surviving prisoners. He was accustomed to the world’s finest concert halls, but he never forgot the profound impact that these wartime concerts had on their listeners. This entry was posted in Features on July 16, 2014 by Kate Molleson. The Scottish Chamber Orchestra are a fussy bunch when it comes to conductors. They have to be: they are an ensemble who pride themselves on playing like a big chamber group rather than a little orchestra, meaning that their sound and spirit run on some ineffable chemistry between every musician on stage. The right conductor can really fuel that energy (witness their dynamism under current principal conductor Robin Ticciati); the wrong conductor can dampen it cold. And so recruitment is a serious business, and the recent announcement of a new principal guest conductor â€“ the flamboyantly original Frenchman Emmanuel Krivine â€“ is worth a moment’s mulling over. Krivine follows in illustrious footsteps: the legendary Sir Charles Mackerras, no less, whose legacy will forever be etched into the SCO sound. What will the Frenchman add to the mix? On paper his track record is solid if understated. 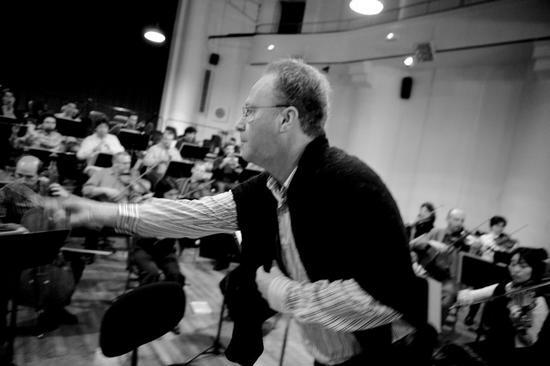 A violinist before he became a conductor, he is former director of the Orchestra National de Lyon, current director of the Luxembourg Philharmonic, principal guest with the Barcelona Symphony and founding-director of the Parisian-based period instrument orchestra La Chambre Philharmonique. He has a reputation for vivid orchestral colour and left-field interpretations. This entry was posted in Features on July 9, 2014 by Kate Molleson. There was something hugely touching about the birthday party that the St Magnus Festival threw for Sir Peter Maxwell Davies last week. Max – as he’s universally known in Orkney and throughout the musical world – turns 80 this September, and the occasion will be marked by special concerts in Glasgow, at the Proms and elsewhere. But up in Orkney, at the festival he helped set up on the islands he has called home since the 1970s, the official celebrations didn’t involve any high-profile artists or high-budget commissions. In a packed auditorium at Kirkwall Grammar School, it was local young musicians who gathered to perform a collection of the composer’s works for children. 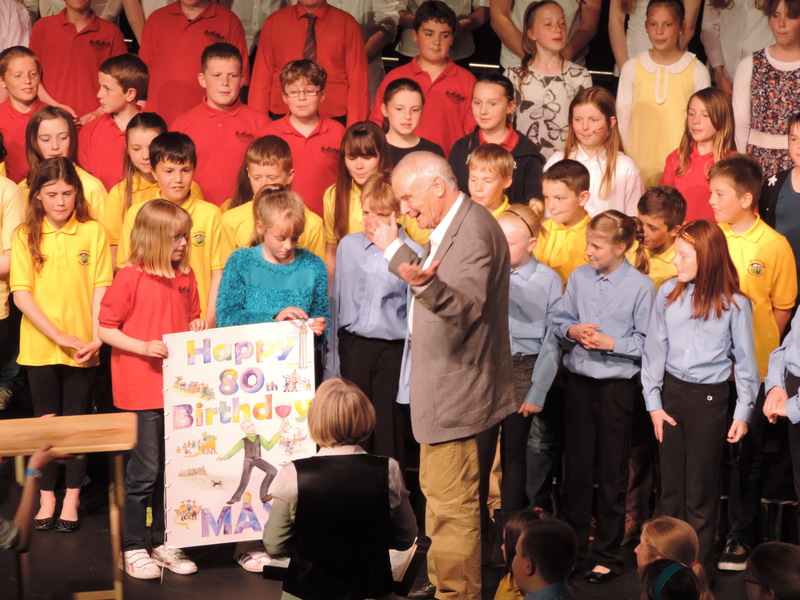 Max has been writing educational music for more than half a century. Even during his most caustic early period, alongside screamingly radical works like Eight Songs for a Mad King and St Thomas Wake, he was penning these semi-sweet, sort-of singsong tunes for the use of nearby primary schools. I say ‘sort-of’ singsong, because with Max there is always a twist. What first sounds like a simple nursery rhyme turns out to be laced with weirdly roaming intervals; what starts out a steady 4/4 ostinato soon begins to hiccup with tricksy cross-rhythms. This entry was posted in Features on July 8, 2014 by Kate Molleson. This entry was posted in Live Reviews on July 8, 2014 by Kate Molleson. The tenth East Neuk Festival closed, as is becoming tradition, with a Scottish Chamber Orchestra concert in Cambo’s big potato barn. For most of the year the space houses a sizeable veg crop; during the festival it is cleared for orchestral concerts and turns out to be a bit of an acoustic gem. Certainly it suits the SCO just fine: on Sunday their strings sounded glowing, their winds warm and there was a real bloom to the cellos and basses that gave the whole ensemble a sunny, broad sort of blush. There’s nothing quite like Mozart played properly on a fortepiano. By ‘properly’ I don’t mean primly or safely; I mean fiercely, passionately, full of the sweet, clanging, kaleidoscopic noises that only a fortepiano (classical predecessor to the modern piano) can muster. The South African period-specialist Kristian Bezuidenhout is an exemplar here. In the close acoustics of the stern old kirk at St Monans, his performance of Mozart’s stormy Sonata in C minor K457 bristled with drama and bright colours â€“ he made such a range of sounds through finger articulation alone that I found myself triple-checking that the instrument had no sustain pedal or soft pedal. There was a great sense of adventure to his volatile first movement; the expansive Adagio was rhapsodic, almost operatic, with Bezuidenhout really savouring the ever-darkening key shifts. He flew into the finale at breakneck speed and gave Beethovenian gravitas to the wild flashes of temper. 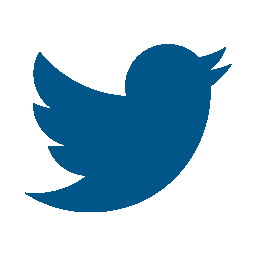 This entry was posted in Live Reviews on July 7, 2014 by Kate Molleson. James MacMillan’s Second Piano Trio was specially co-commissioned to mark this year’s 10th edition of the East Neuk Festival. The premiere was in Bath earlier this summer; for this first Scottish outing, the Gould Piano Trio paired it with an earlier MacMillan work for the same configuration. That older work ended up eclipsing the new one. Fourteen Little Pictures (1997) is among the composer’s most compelling chamber pieces, full of hot-tempered vitality and trademark MacMillan soundbites. Craggy outcrops lapse into misty, keening threnodies; the piano lays down gravelly rumbles while the strings wrestle or intertwine in long-lined laments. The title refers to the stations of the cross, and as usual with MacMillan’s religious music the imagery comes in bold, passionate strokes. The work opens on an irrepressible surge and the energy never dissipates â€“ it closes on repeated piano hammerblows, MacMillan never shy about the symbolism in his music. It seems Quatuor EbÃ¨ne are an unflappable bunch. They arrived at the East Neuk Festival several hours late (having ended up at Aberdeen rather than Edinburgh airport â€“ one of those days) and walked on stage looking already knackered, yet proceeded to tackle some of the most challenging music in string quartet repertoire with dizzying technical command and breathtaking subtlety. To successfully scale two of Beethoven’s most sprawling and confounding late string quartets in one concert is a test of stamina on the best of nights; to do so after a day of missed flights and airport faff is a rare skill indeed.